Special Function Utilities | INDICIUM Software, Inc.
We are often approached by clients with specialized business needs to greatly enhance their process automation capabilities and make their work lives a whole lot easier. Our experienced technical team is ready to work with you to create a solution to solve your business problem. We love a challenge! Have you out-grown your old imaging system? Are you having issues with corrupt index data and irretrievable images? Let us handle the conversion of your images and meta data from your obsolete imaging system into a more robust document management platform! Our INDICIUM Migration Utility extracts images and meta data from the old system, repairing and restoring any corrupt objects/data found during the process. 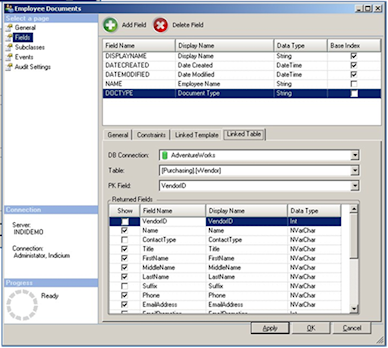 The Utility then introduces the converted information into INDICIUM DM (or other document management system). Our experienced team has converted many millions of images for our clients. 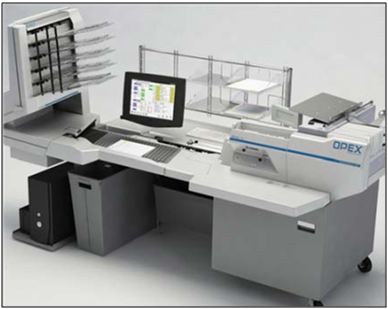 For those clients who utilize sophisticated OPEX scanning equipment to open & scan incoming mail or to handle mixed-batch document capture, our OPEX Import Utility enables them to identify, index and distribute each piece of mail to the document management system of their choice. The OPEX Import Utility employs the Kofax Transformation Modules to extract data from scanned images, turning mailroom documents (AR/AP mail, Human Resources mail, for example) into usable data for knowledge workers in just seconds.